The British Virgin Islands map gives you an overview of every island in the BVI. This map is a great way to find which private island your all-inclusive resort is located on. You can also use this resource to scope out the popular snorkeling spots you've been hearing about. I've got a few more maps for you to take a look at. 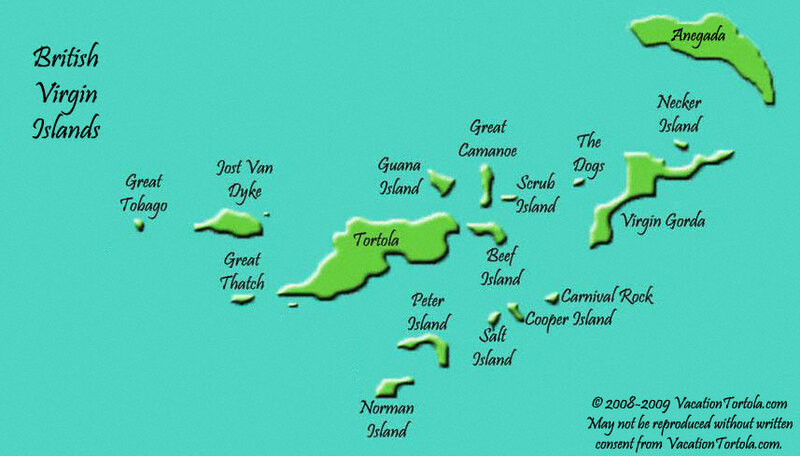 Check out the Tortola Hotels map map for a place to stay. For those of you who would like some sand between your toes the beaches map can show you where to get some sun. If you would like to zoom out just a bit, I've combined this map with the U.S. Virgin Islands.